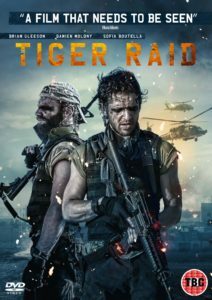 Win Tiger Raid on DVD! To celebrate the release of Tiger Raid featuring breakout performances from Brian Gleeson and Damien Molony on DVD this week, we’ve got 3 DVDs to give away! Joe (Brian Gleeson: Day 6) and Paddy (Damien Molony: No Man’s Land) are members of a private security crew working in the Middle East travelling through an inhospitable desert and assigned to kidnap Shadha (Sofia Boutella: Kingsman), the daughter of a powerful man as part of a major robbery – a Tiger Raid. Joe, the older of the two, carries a brutal and unrepentant view of the world, defined by fear and adoration of their invisible but omnipresent boss but Paddy is younger and recklessly ambitious, hungry to progress through the ranks of the crew. Neither man trusts the other as they tell half-truths and stories of previous victories in a battle to determine who controls this increasingly volatile situation. As the raid progresses, deeply hidden truths about both men’s pasts are revealed, fracturing their already fragile relationship and forcing them to face up to who they really are in order to survive its violent and shocking conclusion. Featuring staggering performances from its three leads, Tiger Raid is directed by Simon Dixon who has co-written the script alongside Mick Donnellan and Gareth Coulam Evans. Receiving its World Premiere to widespread acclaim at the 2016 Tribeca Film Festival, Tiger Raid recently screened at this year’s Edinburgh International Film Festival. For a chance to win 1 of 3 DVDs enter our competition via the app below! 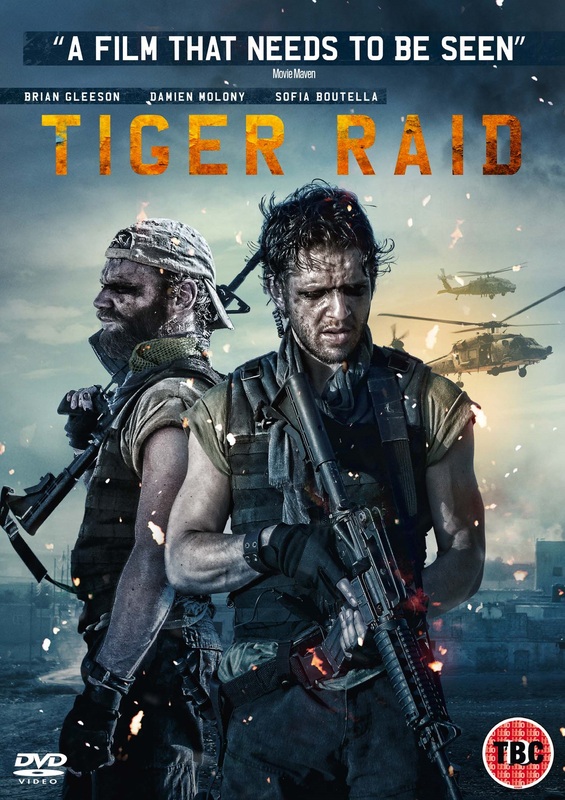 Tiger Raid is available on DVD now. The competition ends at 23:59 on 1 November 2016. The prize consists of a Tiger Raid DVD.